Nichola Beukes was our inaugural Faber Writing Academy scholarship winner for Patti Miller’s True Stories course, and here she shares her experiences of the course and the development of her writing. My writing is similar. Anticipation when I first sit down to write, a few random forays searching through shelves in my mind for the precise moment frequently just out of reach; if I’m lucky sight, taste, smell, hearing and touch will kick in, and then the jittery sense of recognition when suddenly everything coalesces. As a life writer this can be a terrifying process when you open an innocuous-looking paper parcel in your memory and it turns out to have very large pointy teeth. Nine months ago, my friend Meera and I took a joint decision to support each other as she studies and I write. It was Meera who prodded at me to apply for Patti Miller’s True Stories at Faber Writing Academy and Patti who led me gently but firmly into a life writing. Patti is a no-nonsense and highly inspirational guide, whose celebration and enjoyment of memoir writing is infectious. Her practical advice is excellent, with plenty of opportunity to try out the skills she lays out. The class atmosphere is nurturing and supportive, but crucially, honestly critical. 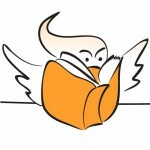 Agent and editor guest speakers also illuminate the business of writing, but it is Patti’s kind and honest tutelage that finds all her students making great strides in their own writing, taking what they need from her and each other. What did Patti teach me? Naturally, many things, but the standout concept that changed my writing practice is the critical difference between showing and telling. This has had a knock on effect on so many areas of my work: the judicious, conscious use of either; the challenge of offering enough to the reader, controlling with a cinematic quality; and particularly the need to let go and trust the reader to do the work. The sweep of your life may well be like millions of others, but the details are what make it unique. Paraphrasing Patti, be awake to your life and the world around you. Trust the reader with those details and let them do the work of interpreting your senses. Nobel Prize in Literature laureate Wole Soyinka asks “How far back should memory reach?”. Are these my memories, my siblings’ memories, my parents’, grandparents’, neighbours’ memories? Am I true to myself and them? I have pondered on this throughout Patti’s course and my current interpretation is that I need to follow my feelings of heightened risk in memory wherever those take me, pointy teeth notwithstanding, because there I find truth. My fellow students and I can all remember moments in class when classmates risked everything and opened up a memory into a moment of brilliant writing. The punch of recognition of the human spirit is visceral. And the joy of it is that for each person it is different. It does not necessarily need drama, sometimes a quiet infiltration is perfectly sufficient and utterly believable. 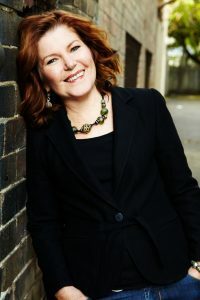 Patti Miller’s True Stories runs again at Sydney’s Faber Writing Academy in 2019, from February to May, with applications now open – including applications for our scholarship. 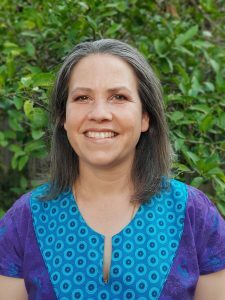 Born in Pietermaritzburg, South Africa, Nichola Beukes has degrees from Harvard and the University of Kent at Canterbury, neither of which prepared her successfully for the realities of living in a multicultural, cross-generational household dominated by a domestic landscape of Parkinson’s and dementia. Her small daughter and the recent addition of a fearsome hound are helping her keep perspective, assisting her in creating space for her writing and flexing her planning-while-walking muscles. She is currently writing her memoir, the story of growing up in a white family living and working in black communities at the height of Apartheid South Africa.